The iPhone 4S rocks at playing music, but Siri lets you use your voice instead of your fingers to play a track or playlist, shuffle your songs, pause and jump between songs, and so on. 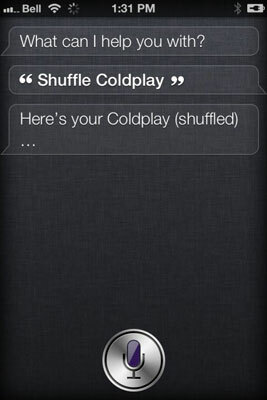 All you need to do is ask Siri (nicely) to play an individual song or album. The short chime means Siri is listening for your command. Tell Siri what you’d like to listen to. If your friends, family members, or colleagues don’t have an iPhone 4S (therefore no Siri), they might still be able to use their voice to control their music. Aptly named Voice Control, this Apple feature is bundled in the iPhone 4S, Phone 4, iPhone 3GS, and iPod touch (3rd and 4th generation). 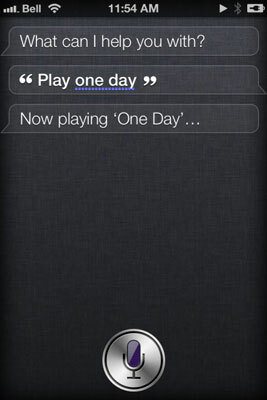 Siri also lets you ask to play a particular album, if you happen to have it on your iPhone 4S. For example, you can say play Adele’s album 21 or Best of the Beast, by Iron Maiden. Just like you’d ask to play a song, you can play an album from a particular artist (or a compilation album with various artists). Begin talking after the familiar Siri chime, telling Siri to play a playlist, by name. 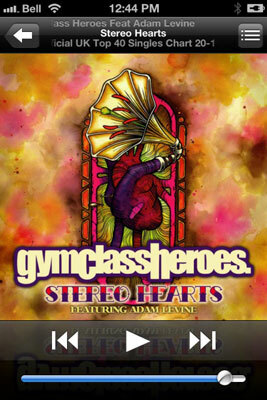 Siri confirms your selection request and launches the first song on the playlist. You don’t have to give Siri the complete name of the playlist. A word or two is enough, and Siri will do the rest. Not sure what you feel like listening to? Tell Siri you want to shuffle up songs to hear them in a random order. Okay, so this might not fare well to those enjoying a linear classical music symphony like Beethoven’s 5th or maybe a concept album by Genesis, but for those who don’t care what order the music plays in, you can shuffle it up by asking Siri to do it for you.